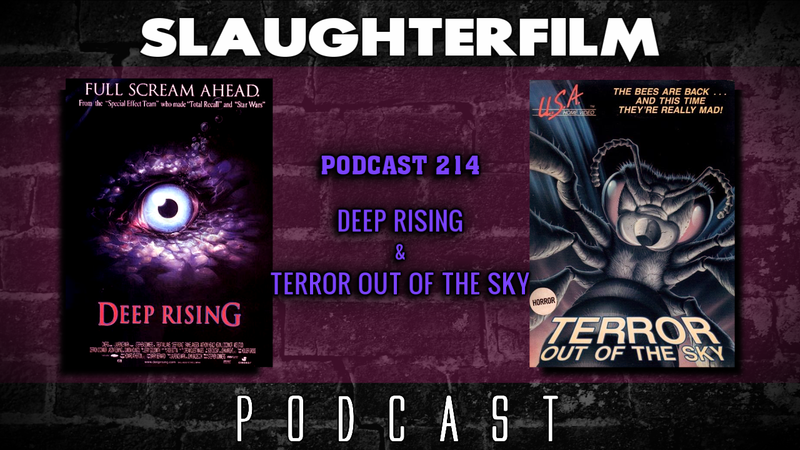 This week Forest dives deep to explain what he enjoys about the all but forgotten Deep Rising. 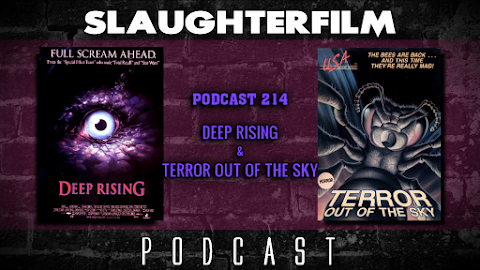 Cory has been attacked by tarantulas, then ants and now bees as he reviews the made for television sequel to Savage Bees, Terror Out of the Sky -- in spite of it's oddly worded title. The Horror Duo also discuss remakes with the new Blair Witch trailer, the interesting effects of Pokemon Go and Godzilla Resurgence is set to be released in North America. They also share memories about made for television films including Peter Benchley's The Beast and Quicksilver Highway. For more Slaughter Film news and reviews, as well as show notes and special events, make sure to visit our website; SlaughterFilm.com.